Elite updated the DRIVO last summer and dropped the price from $1,300 to $1,200. That’s in line with other high-end trainers. From all the trainers’ updates we’ve seen this year, the DRIVO saw the biggest changes, at least from the outside so you can actually tell this is a new DRIVO. The DRIVO II is more accurate – down to +/-0.5% – and respond x3 times faster to changes than the old DRIVO. It’s also more stable and has foldable legs so you can easily store it and get it out of the way if you have a limited space. 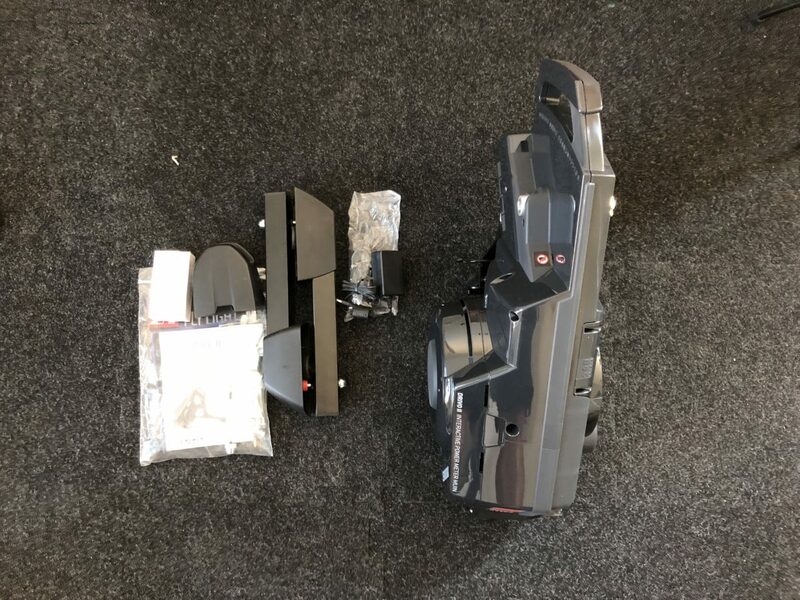 Elite sent me the DRIVO II for this review and just like all trainer reviews I do here, I put the trainer through my real training and tell you how it performed. METRICS: Transmits power, speed, and cadence built in. Also comes with a full cadence sensor kit for pedal analysis. The DRIVO II requires a little assembly. You need to attach the legs and install your cassette. All the tools you need to attach the legs are included. You just need to supply your own cassette and tools. 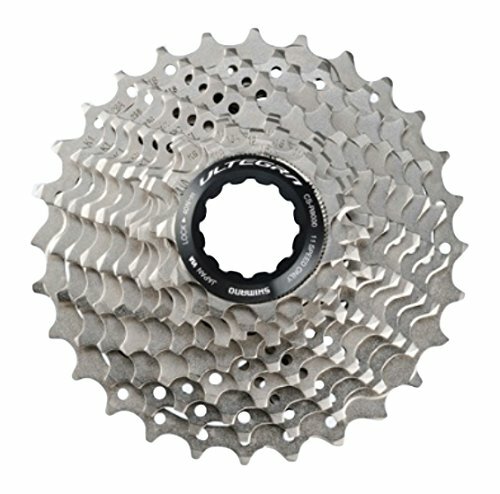 You can purchase an 11-speed Shimano Ultegra cassette for about $65 or if you are like me and still use a 10-speed cassette then you can save few dollars and get a 10-speed Shimano Ultegra cassette for about $50. 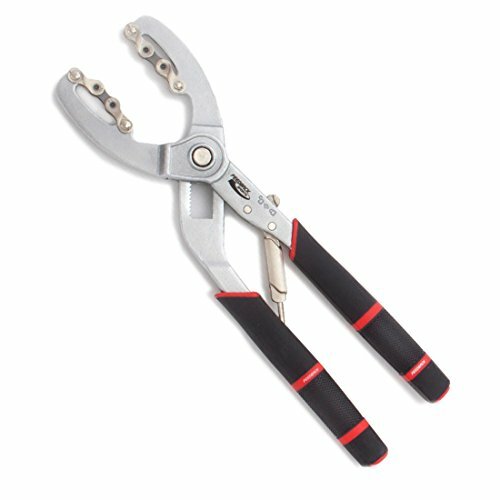 If you need a cassette plier, the Feedback Sports cassette plier and Cassette Wrench are one of my favorite and easy to use. 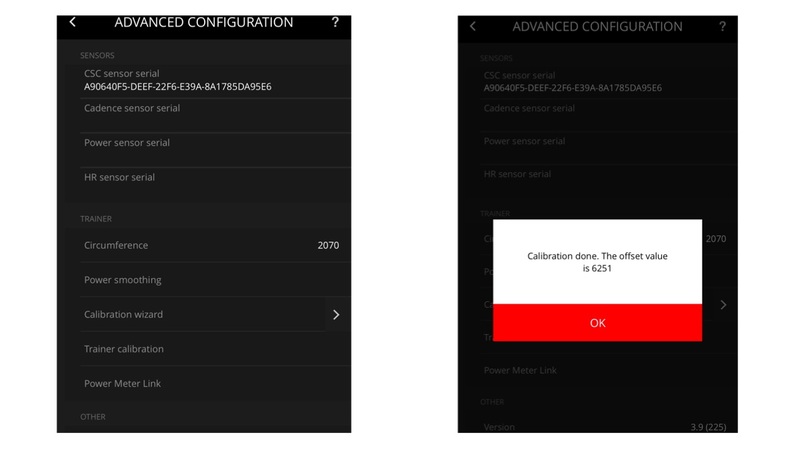 Elite works well with all apps that support ANT+ FE-C or Bluetooth FTMS protocols. 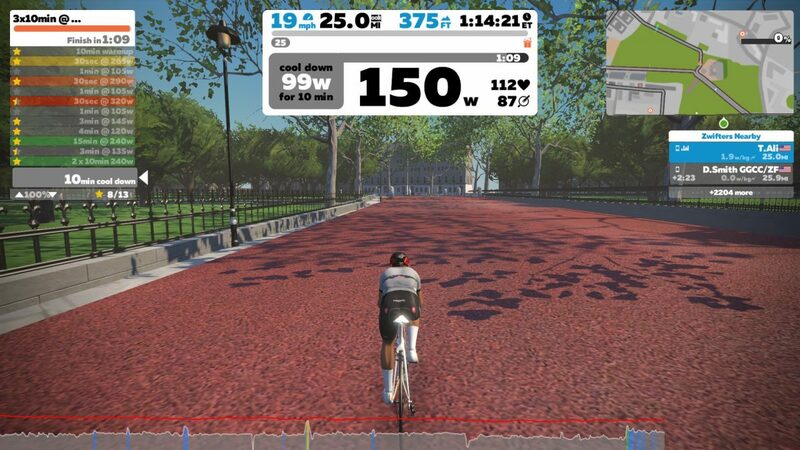 It’s fully compatible with Zwift and TrainerRoad and works with The Sufferfest as well. The DRIVO II has a (13 LBS/6KG) flywheel. That’s comparable to other high-end trainers. Riding on Zwift in sim mode was good and there was enough inertia going down descents. Just like the first DRIVO, the pedal felt just as smooth. Elite didn’t make changes to the belt design to minimize the noise in the DRIVO II. However, I didn’t think the DRIVO I was noisy and the DRIVO II is no different. It’s not as quiet as other trainers but not noisy either. Instead of me trying to describe how loud or quiet the trainer is, you can listen yourself to the trainer in the video I made which you can find here. In my own noise rating scale, I would rate it as “Good to moderate”. I don’t think you will wake anyone up with the DRIVO II or bother your neighbors, but everyone living situation is different so feel free to ask in the comment section and listen to the video if the noise level is important to you. Elite claims a power accuracy of +/-0.5% and can adjust slope resistance from 0% to 24% in less than 3 seconds. Now there is no way for me to test that or I just haven’t thought about it that much. But what I can tell you is that, in sim mode, it worked just fine. Elite continues to use and Optical Torque System (OTS) power meter in their DRIVO and some of their mid-range and high-end trainers. Before you start riding, you should calibrate the trainer. This function is available in the Elite MyTraining app available for iOS devices and Android. 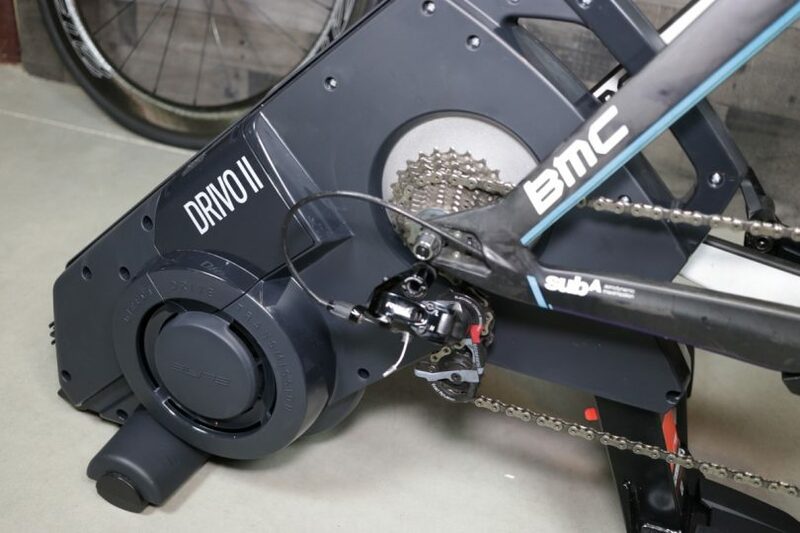 Just like other drive trainers, you should calibrate the trainer once every two to three weeks or if you move the trainer around. 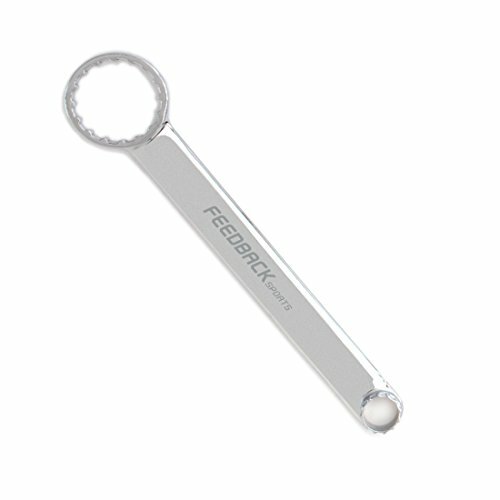 I calibrated my unit when I first go it and didn’t touch the calibration since and has been consistently accurate. I did all five stages of the Tour of New York and 3 of them were on the DRIVO II. 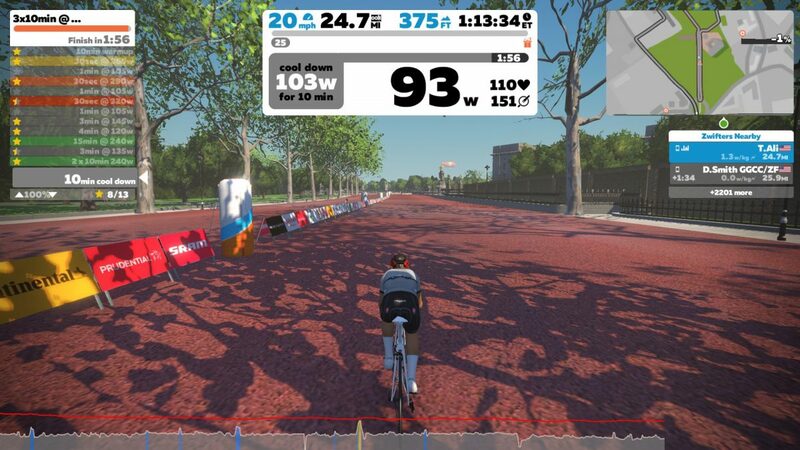 The trainer responded very well to all the hills Zwift decided to introduce in the new New York course and all the attacks. Overall it worked very well but lacked a little bit of the inertia you get from other high-end trainers when going down descents. But let’s take a look at the power data and see how accurate the DRIVO II was. In the ride you see below, I used my Power2Max and P1 pedals to compare to the DRIVO II. The first 25 minutes the P1 pedals were a little off but then stabilized later in the ride. Overall, all three powermeters worked well together and were consistent in reporting power data and the DRIVO II responded to all the changes in terrain very well. In ERG mode, the trainer was just as good in responding to my cadence and keeping me at my target watts. However, the DRIVO II seem to have a floor wattage that I will discuss in more details below. 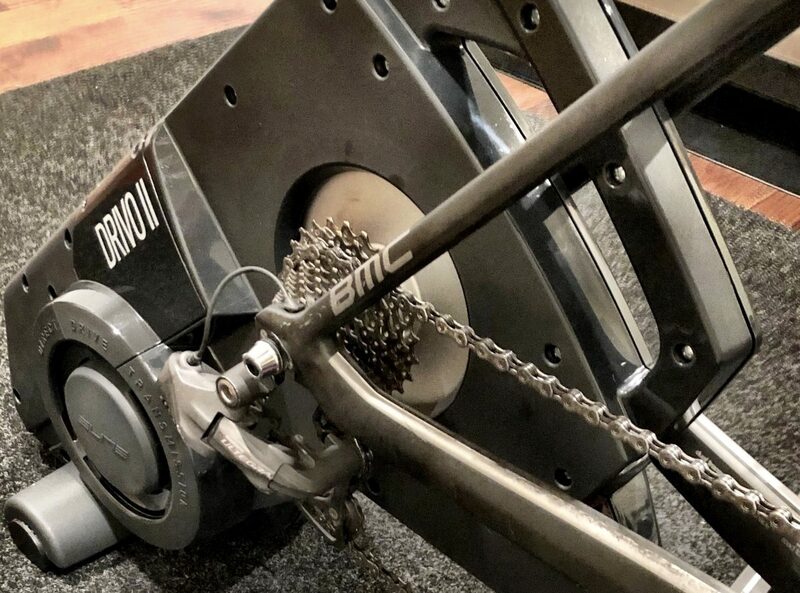 Let’s take a look at a 3×10 minutes workout I did using my P1 pedals powermeter and Power2Max. Nothing out of place and the DRIVO II responded to all intervals just as expected except for the rest intervals. These are three 30seconds intervals I usually do towards the beginning of the workout to wake up my legs. Here is a zoom-in at one of the 10-minute intervals. As you see, everything looked good. One thing I noticed with the DRIVO II, in ERG Mode, it tends to respond a little slower when entering intervals. It slowly gets you into it rather than increasing the tension very quickly. There is nothing wrong with that and some might find it as a feature or might not like it. I would say, if you tend to do a lot of short sprint type intervals, you might want to disable ERG mode. This is the part that surprised me a little bit with the DRIVO II. I have my rest intervals set very low to test how the trainer can get me when in ERG mode using the big ring. As you see in the screenshot below, the interval is set at 99 watts and the DRIVO II kept me at around 150 watts. The DRIVO II didn’t have enough inertia in the flywheel to bring down the resistance. However, when I switched down to the small ring, it wasn’t an issue as you see in the screenshot below. I asked Elite about this and it’s all around the flywheel speed according to Elite. If you look at the table below (source: Elite) the DRIVO II can get you to 25 watts at 10km/h. 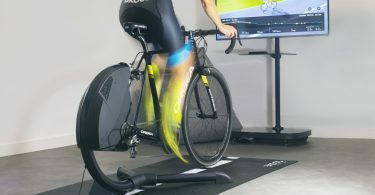 So if you are pedaling at a higher cadence to recover, you need to adjust to a lower gear to get your watts low enough. This is usually not the case with trainers with a flywheel this heavy. A flywheel can spin fast enough to bring your watts down, just like when you are going down a steep descent and you run out of gear. So if you want to do an easy spin or ride very low watts in ERG mode, switching to the smaller ring should resolve this for you. The DRIVO II comes with a cadence sensor that you can attach and it also does pedal analysis if you use the Elite MyEtraining software. It can also measure and broadcast cadence. 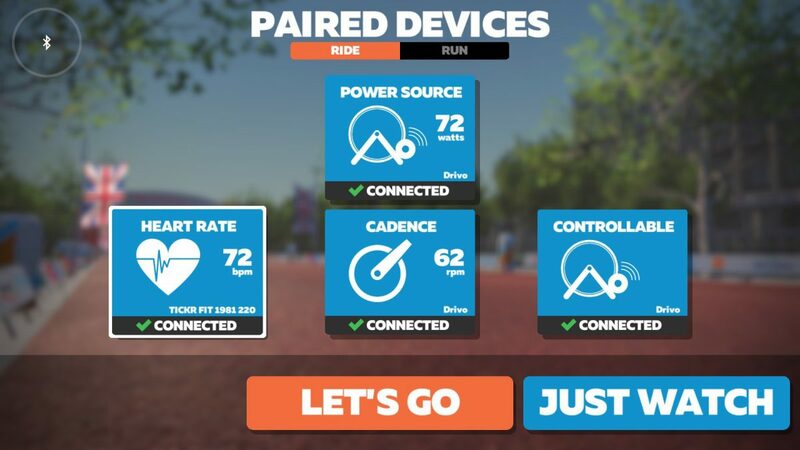 This is useful if you like to use Zwift on Apple TV. This is the cadence data from the DRIVO II and my Power2Max crank based powermeter. These spikes are normal with such trainers since they try to estimate cadence rather than measure it with an actual sensor. As you see below, these spikes tend to happen during my recovery intervals when there isn’t much tension on the chain which is expected and most trainers act this way. But no spikes during the actual tempo intervals. 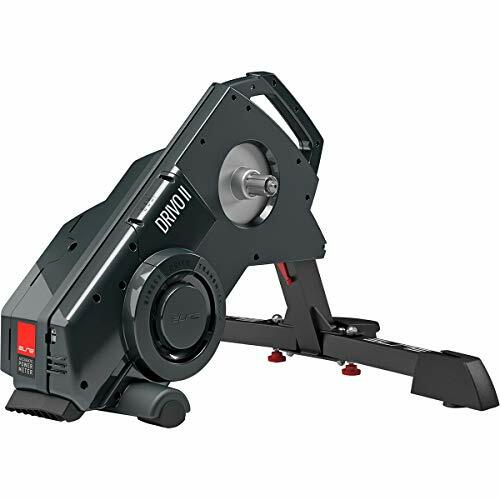 The DRIVO II is a good accurate smart trainer that works well in sim mode and erg mode. I like the new redesign and the black color looks much better in my opinion than the white color. The wide legs offer very good stability and you will feel it when getting out of the saddle for sprints or climbs. The DRIVO retails for $1,200 and is available to order in Europe today. It’s available to pre-order in the U.S. and should be available just in time for the Holidays. Hi – thanks for the review. Just in case (as I’ve asked Elite this) did you get a response from Elite on the slow to react to interval changes flaw? (Use the word flaw as the Drivo II is supposed to change fresistance 3x faster than before and ‘in the blink of an eye’ according to Elite. Whioch sadly it doesn’t. SOmetimes formal reviewers such as yourself get a response from Manufacturers more than consumers. No, I didn’t hear from Elite yet about a fix to the slow response issue in ERG mode.